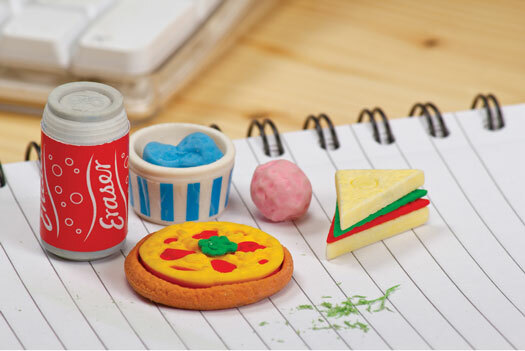 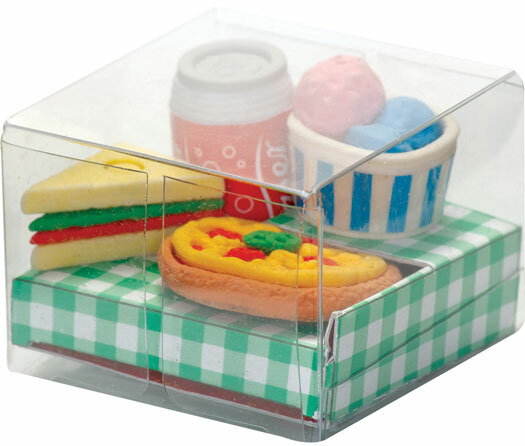 These cute erasers are shaped like popular lunchtime treats. 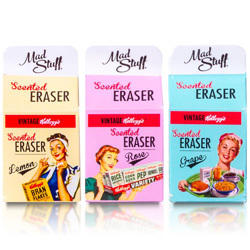 Each eraser is made from interlocking pieces, making them enjoyable to fiddle with and reconstruct aside from their more obvious primary function. 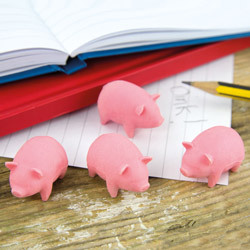 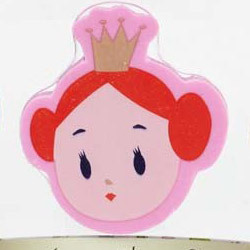 The group is quite charming and they will greedily bought by young eraser collectors. 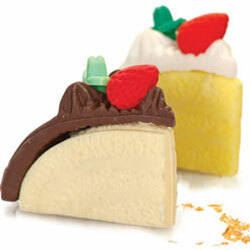 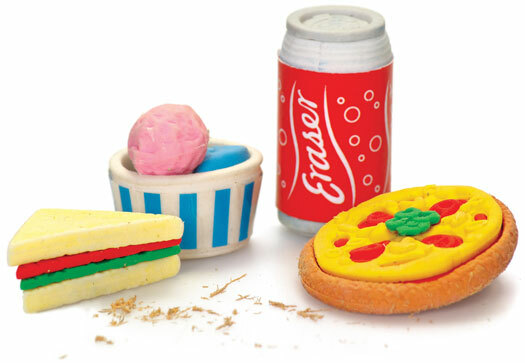 Erase your mistakes - indeed 'takeaway' your mistakes with this food-themed eraser set!